This is the rarest animals in the world (or perhaps the loneliest animal in the world), Lonesome George. 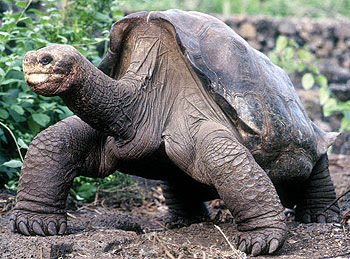 Lonesome george is the one and only of Pinta Island tortoise species. This poor animal is only one of the world, and only existed on the Pinta island.